For Lorenzo winning his first Gold medal at the European U19’s and the British Men’s Championships during his first few years at university was a sign that his lifelong commitment to sailing was worth every effort. 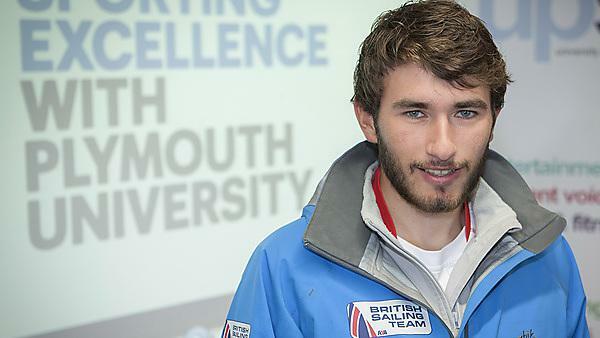 Now a member of the Team GB Olympic Development Squad and supported by the Plymouth University Sporting Excellence Scholarship Programme, Lorenzo has the motivation and support network to help him compete at the highest possible level in sailing. Discovering his passion in sailing at just seven years old, Lorenzo has spent much of his life on the water at his suitably located home - Loch Crinan in Scotland. With such a certain bearing in life from the age of seven, it’s hardly surprising that Lorenzo also had his academic ambitions set out. Currently balancing a busy calendar of sailing competitions and training camps all over the world, plus many hours a week of study Lorenzo admits it can be quite a challenge to meet and honour both commitments – however holding titles including the under 21 World and European Champion, and achieving strong results academically, Lorenzo proves that it can be done. A tough year of injury and University deadlines didn’t deter Lorenzo as he battled it out at Great Britain’s three-day Laser Europa Cup at the Weymouth and Portland National Sailing Academy in early June 2014. Leading the event from the outset Lorenzo sailed through the eight race series finishing top of the leader board. Read more about Lorenzo's performance. Next up for the U 21 World and European Laser Champion are: the Laser Men's Europeans in Croatia, followed by an extra Europa Cup in Kiel on the German coast and the World's in France, where Lorenzo will find himself up against international sailors. Inspired by his love of the sea, find out why world and European Laser Sailor Champion Lorenzo chose Plymouth to study his BSc (Hons) in Navigation and Marine Science.